Dr. Deborah Sellars graduated from the National College of Naturopathic Medicine in 1992. Prior to her Naturopathic medical degree, she graduated from the University of Vermont with a B.A. and received her Master's degree in exercise physiology from the University of Connecticut. As a licensed Naturopathic Doctor in New Hampshire, Dr. Sellars has practiced in the Concord New Hampshire area since her graduation in 1992. As a general practitioner, Dr. Sellars sees patients of all ages. Patients with acute and chronic illnesses seek out Dr. Sellars' care, however the majority of her patients have complex chronic illnesses. Although she prefers not to consider herself a specialist, except in naturopathic care of the patient, a strong focus of her practice is on restoration and healing of the Gastrointestinal, Endocrine and Immune systems. The therapies that she utilizes in her practice include: Biodynamic Cranial-Sacral Therapy, Western Botanical Medicine and Classical Homeopathy, along with Nutritional, Exercise and Lifestyle Counseling. Her goals are to work with each individual to create a long lasting partnership where the doctor and patient work together to learn the cause of the patient's problems, and then reestablish the patient's health. 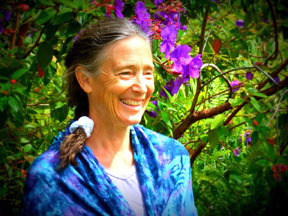 Her work centers on the understanding that, in every living being, there is an underlying potential for "health" which can be reestablished or invigorated through appropriate natural treatment and care. Her major interests outside of her work include hiking, gardening, skiing, running, biking, kayaking, along with making a home with her husband, son, dogs and cat.